The Best Shark Dive in the World! : The Impact of GWS Cage Diving - Paper! The Impact of GWS Cage Diving - Paper! 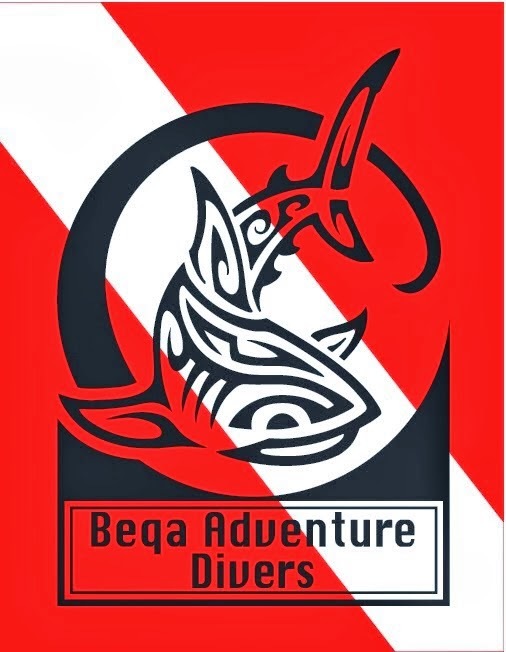 "Best practice" among cage diving operations apparently consists in just teasing, but never actually handing any bait to the Sharks. Were I a Shark hugger, I would immediately object that letting the Sharks waste precious energy on fruitless "hunts" is to be rejected as it is likely harmful to the animals. Yup that would be yours truly a whopping ten years ago! Although sharks are enticed to the cage-diving vessels with baits, industry regulations do not allow operators to feed white sharks and strict limits on the amount of bait and berley are now in place in South Australia and at other white shark cage-diving locations (Bruce, 2015). Energy burden from the increased activity is, therefore, not rewarded by regular bait provisioning. Some baits can, however, be consumed when sharks approach the baits using high speed or stealth (Huveneers et al., 2015). The baits used in SA are composed of gills and stomach lining of southern bluefin tuna and are not as energy-rich as white shark’s natural prey while at these sites (e.g. pinnipeds). Whether the infrequent consumption of these baits provide sufficient energy to compensate for the increased energy expenditure associated with sharks interacting with the operators would depend on the calorific value of these baits and the frequency of white sharks successfully feeding on the baits, both of which are currently unknown (Brunnschweiler et al., 2017). 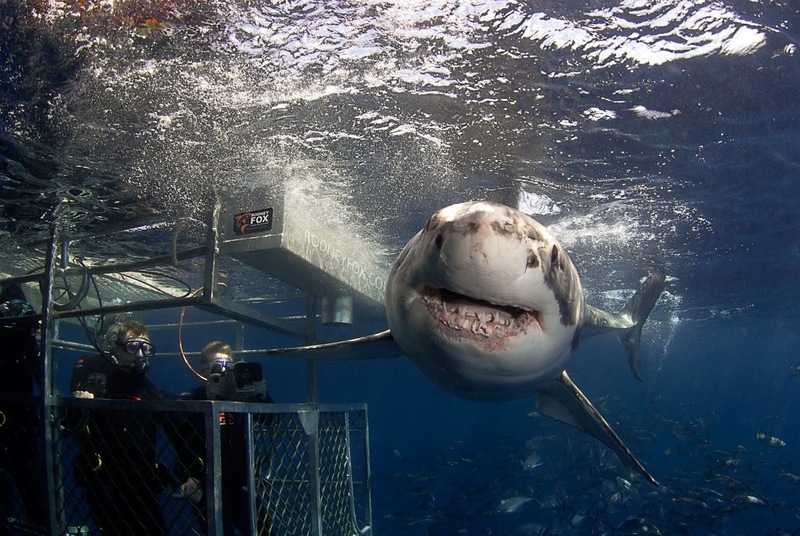 Spending time interacting with cage-diving operators might also distract sharks from normal behaviours such as foraging on natural, energy-rich prey like pinnipeds. Combined, these suggest that the increased energy expenditure associated with cage-diving interactions might not be compensated for by either bait or natural prey consumption. One could, therefore, argue that white sharks should be able to feed on some bait to compensate for the energetic losses resulting from interacting with cage-diving operators. Bioenergetic models (e.g. Barnett et al., 2016) would, however, be necessary to accurately assess the likely effect of cage-diving on white shark energy balance and whether such compensation is necessary or beneficial. Beyond the potential for short-term energy intake, other aspects of food provisioning (e.g. quality of food, potential for changes in foraging behaviour) would also need to be considered. Good one - and obviously, totally not surprised! This is now the second paper (re-read this!) stating that NOT feeding is probably not a good idea - and whereas I concur that further investigation into the precise energy balance, etc may be beneficial, we should really not caught up in minutiae and finally do the right thing. Now that the evidence is in, will the regulators in Australia and elsewhere do the right thing and allow for proper feeding of those Sharks - or are they going to continue cow-towing to those in the populace who will contend that it would lead to more Shark attacks, and the like? Remember that when it comes to feeding and conditioning Sharks, 99.999% is being perpetrated by the fishermen and not us - so assuming that it really is a big problem (spoiler = it aint: these are the real problems, with overfishing being the principal threat to Shark populations) let's maybe first look there! ! I am not sure what the operators think about it, but I agree it seems to be the right thing to do! 700 Requins dans la Nuit - awesome! Bull Shark vs hooked Shark! Sharks in the Ba Estuary - Paper! Sharkbanz - yes it's a total Scam! Florida Land-Based Shark Fishing - Meetings! You Are What You Eat - Paper! SOFA - quod erat demonstrandum!